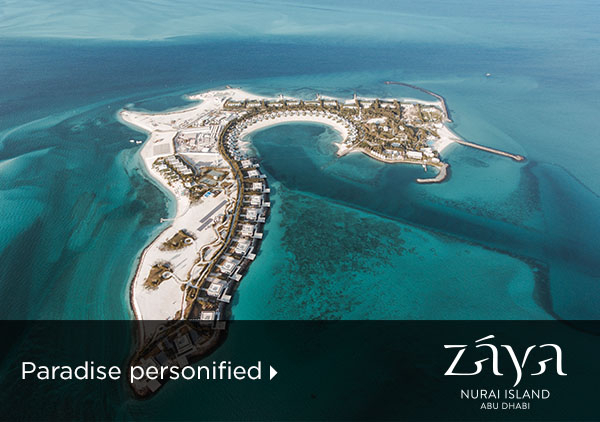 Zaya Nurai Island a private island located off the coast of Abu Dhabi. It can be reached by a 10-minute boat ride from Saadiyat Island. 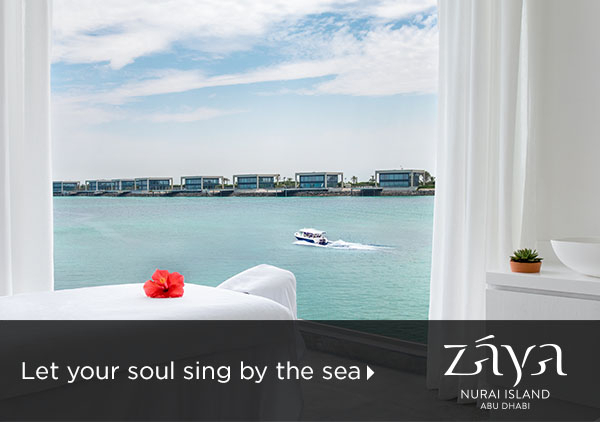 Nestled in the pristine waters of the Arabian Gulf, the boutique private island resort of Zaya Nurai invites guests to sample a fresh slant on desert luxury, just 10-minutes by boat from Abu Dhabi’s Saadiyat Island. 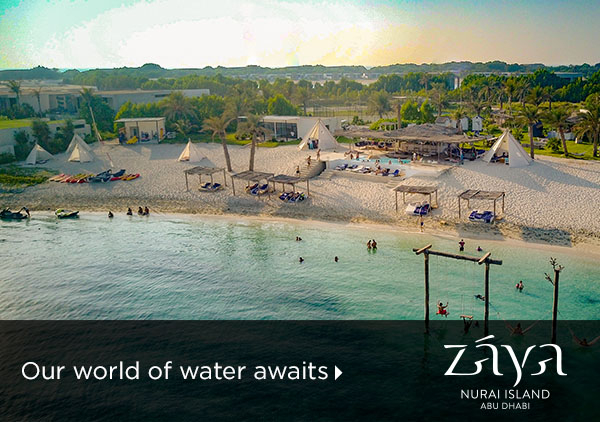 Charting its origins to the Arabic word “Nur” meaning light, Nurai is an island of staggering natural beauty, brimming with turquoise waters and endless white sands. This quiet setting is perfect for families, with distractions like a dedicated kids’ club ensuring younger VIPs want for nothing. The 32 one-bedroom villas that make up the resort line a crescent beach on the northeastern side of the island. 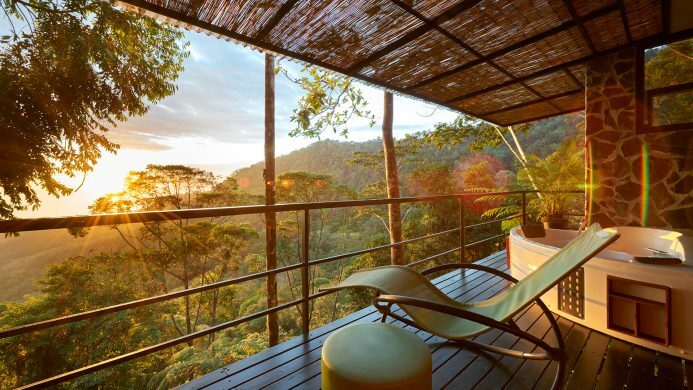 Each boasts a swimming pool and garden, while within, there’s king-sized bedding, large bathrooms with tubs and rainfall towers, as well as floor-to-ceiling windows. Guests can also opt for one of the spacious two-bedroom homes, which are ideal for families and couples. The resort’s main dining area sits on a picturesque seafront terrace. Each of the five dining options all serve local, authentic produce, and where possible, sustainably sourced from the island’s own kitchen garden. 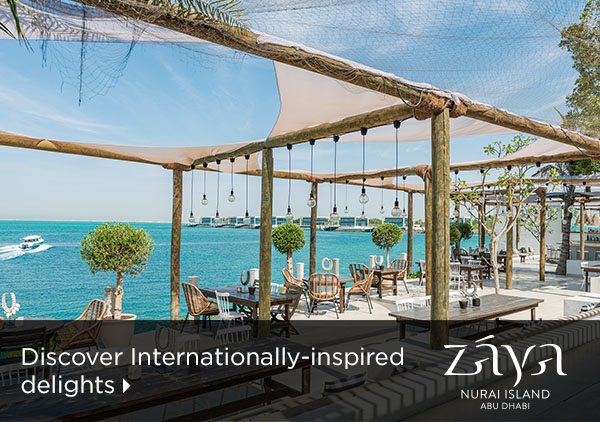 There are never more than 80 guests staying at the resort, so if one seeks a quiet setting to lounge and read a book, Zaya Nurai Island offers the perfect retreat. However, there’s still lots to see and do for more active types. One-on-one yoga sessions can be arranged, there’s an outdoor cinema, watersports, and even a resident DJ for late night fun.